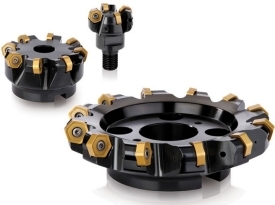 If industrial cutting tools are heavily utilized in your day-to-day operations, then having a distributor you can rely on to quickly provide the tools you need is an essential part of maintaining productivity for your business. Companies in Fort Worth, Texas, and the surrounding area that want to partner with an industrial supplies distributor they can depend on to offer high-quality products as well as exceptional customer support should look no further than CRC Inc. of Texas, which is now a Hurst Family company. We’ve earned a stellar reputation as a dependable industrial supply company through years of providing brand-name cutting tools and unparalleled service to our customers. Now that we were recently acquired by one of the Midwest’s leading industrial supply distributors, Wm. F. Hurst Co., LLC, we’re able to offer many other tremendous benefits to those companies who choose to partner with us, such as an expanded product selection and unmatched industrial supply expertise. In addition to providing cutting tools renowned for their durability and precision, we’re committed to helping our customers find solutions that will help improve processes within their operation. Our associates have immense knowledge of the all of the products we offer, which enables them to make product recommendations that can help your operation become more productive and even save money. Contact us today for more information about our selection of industrial cutting tools, and feel free to inquire about the wide range of other industrial supplies that we offer, such as assembly tools, abrasives, and metalworking fluids. CRC Inc. of Texas, a Hurst Family company, proudly serves businesses in Fort Worth, TX, and the surrounding area.